McCarthy raced brilliantly in Spain. After qualifying fourth fastest, he defeated French TT specialist Armand De Las Cuevas in the quarterfinals; overcame defending champion Francis Moreau of France in the semis; and faced Wallace in the final. Despite the Briton riding the Lotus, McCarthy dominated from the first kilometer to win gold. 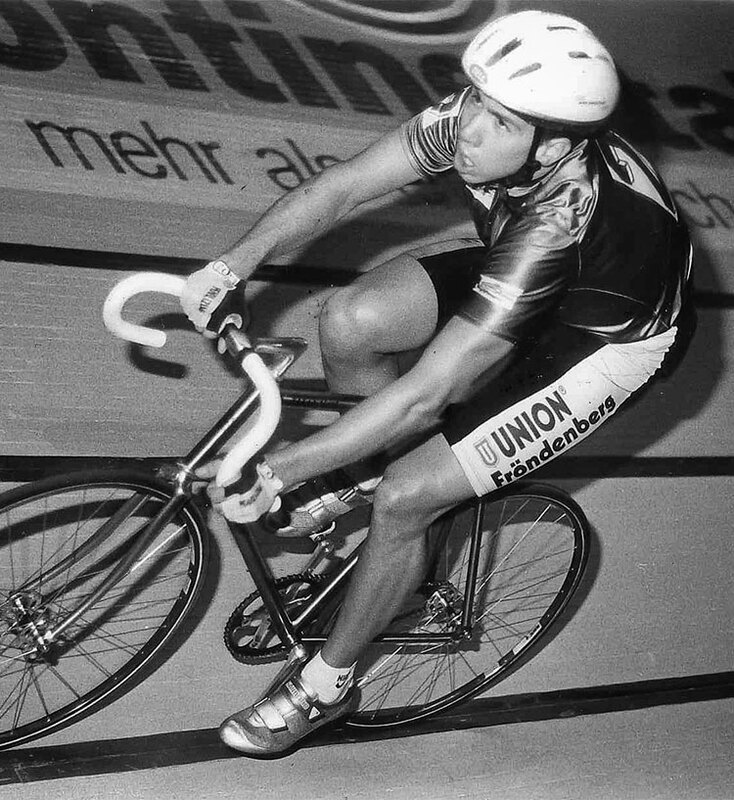 McCarthy’s world title earned him a lucrative deal to ride five of Europe’s six-day track races: Dortmund and Munich in Germany, Bordeaux in France, Ghent in Belgium and Zürich in Switzerland. “It’s pretty cool when you get out there and you’re taking a lap with Olympic champ Olaf Ludwig in Munich with 20,000 people cheering. That’s a different world! You’re racing 200 kilometers a night, six days in a row, and I did that for 36 days with six days off in between. The postscript was, I rode myself into the ground and got a sickness that lasted eight months and shook me up for almost three years…. Diagnosed with the Epstein-Barr syndrome, McCarthy didn’t return to a national level until 1995 — when he made the U.S. team for the Atlanta Olympics. 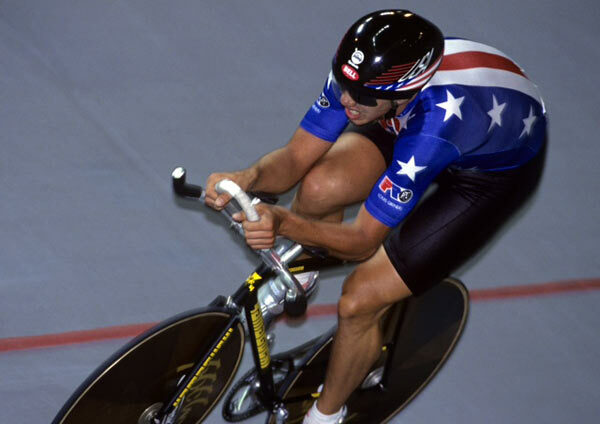 By then, McCarthy recalls, “the big tech revolution came in,” with wild aero designs — especially in McCarthy’s event, the 4-kilometer team pursuit. The U.S. came up with Project ’96, producing a monocoque carbon-fiber bike with no top tube or seat stays, a three-spoke front wheel far smaller than the rear disc, and a long-tailed helmet that sat snug to the back. “That’s where I realized the sport had changed,” McCarthy says. “It may have been before the term ‘incremental gains’ was coined, but that’s where it started.” But other nations’ technology won in Atlanta, where Australia eliminated the U.S. in the quarterfinals. 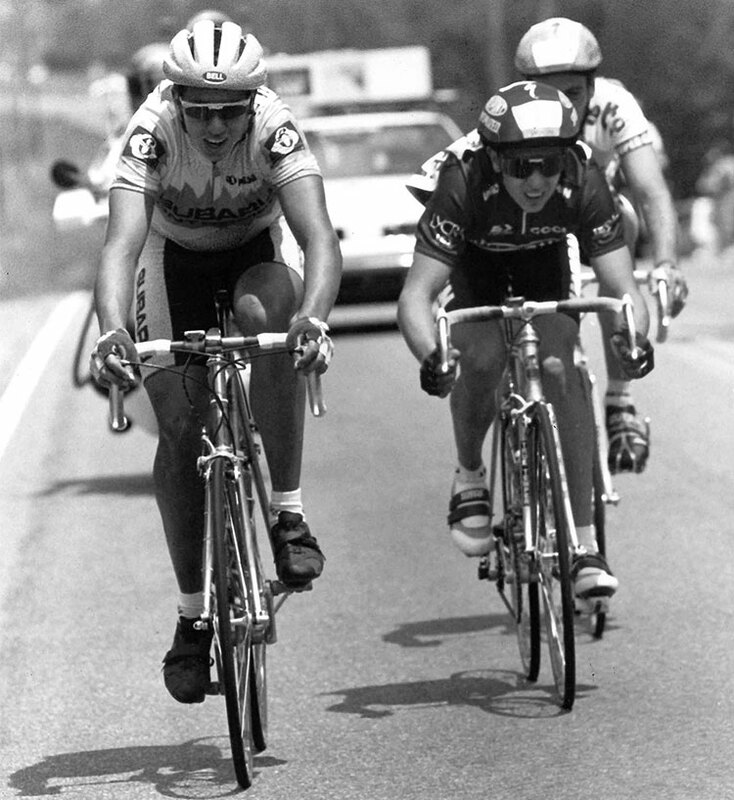 Mike McCarthy ended his pro cycling career at age 30 after his Epstein-Barr returned. 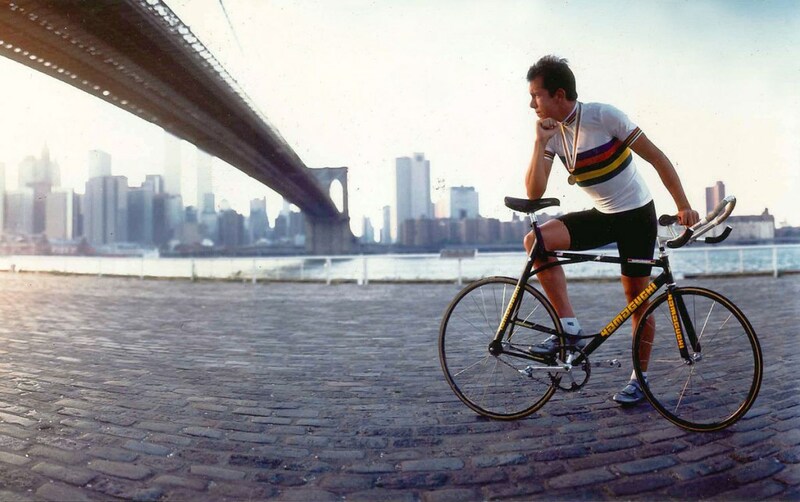 He was inducted into the U.S. Bicycling Hall of Fame in 2010.